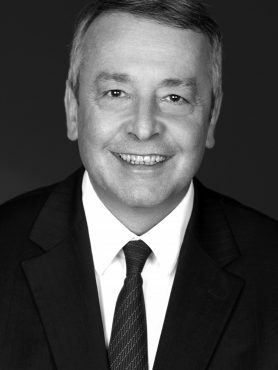 A graduate from the École polytechnique (1977 class) and PhD in Civil Engineering from the École nationale des ponts et chaussées, Antoine Frérot started his career in 1981 as a research engineer at the Bureau central d’études pour l’Outre-Mer. He joined the Compagnie Générale des Eaux in 1990 working at the Compagnie Générale d’Entreprises Automobiles (CGEA), of which he became managing director. In 2000 he was appointed CEO of Veolia Transport. In 2003 he was appointed CEO of Veolia Water, and Executive VP of Veolia Environnement. At the end of 2009, Antoine Frérot was appointed CEO and, in December 2010, Chairman and CEO of Veolia Environnement. In January 2017, Antoine Frérot became President of the French think tank “Institut de l’Entreprise”.